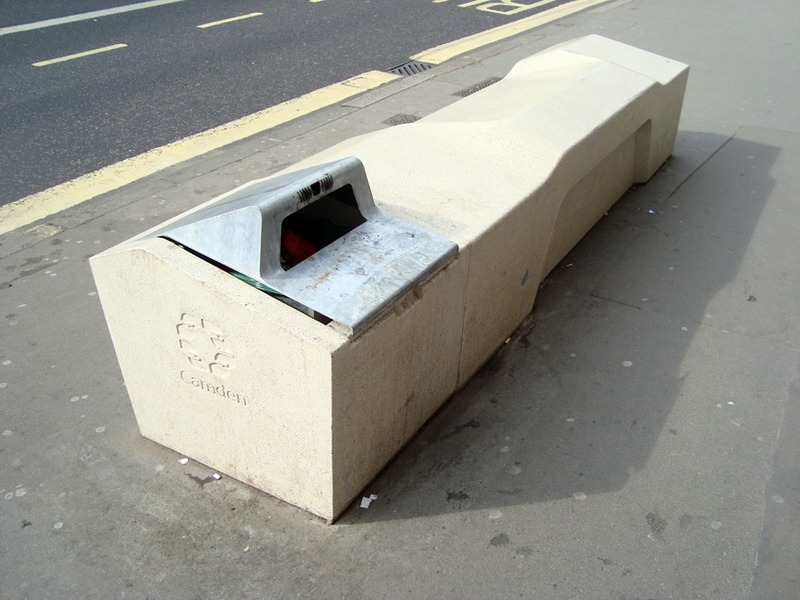 This bench in the borough of Camden, London has been designed to prevent multiple activities. It is sloped and hard to stop people sleeping and lying on it, the angles also stop litter accumulating on it. It has no cracks, gaps or joins so drugs cannot be hidden on it - detering drug dealing, it is easy to wash, it has a fluctuating edge to prevent skateboarders doing tricks on it, a space has been made to put bags behind your legs when sitting to prevent bag theft and it is easy to move.